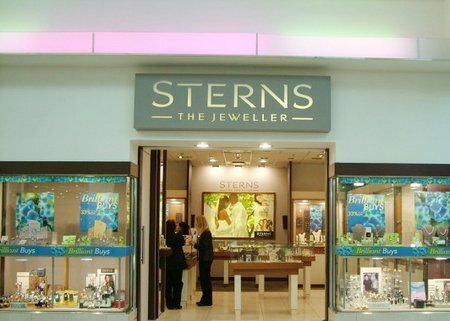 The Sterns jewellery range is available at stores in South Africa where you can browse the pieces that they have on offer. And they also have a great website where you can view new items, promotions and contact details. As well as any other information you may require. If you are looking for a gift for someone. Or something special for yourself or even an engagement or wedding ring. Sterns will have something in their jewellery range that will suit your needs and budget. The first Sterns store was opened in Gauteng in 1896 by Austrian Joseph Stern. Between the 1950s and the 1980s the Sterns brand grew more and more successful. Sterns became a household name throughout South Africa. More stores opened around the country and the company went from strength to strength. However, in the early 1990s, Sterns began battling financially. Eventually, in 1993, the Sterns franchise was purchased by Foschini and added to their growing list of brands. Today, there are over 120 Sterns stores throughout South Africa. Joseph Stern began Sterns Jewellery with the concept of gorgeous jewellery made available to everyone. Today the stores operate on the same premise. So while there are many expensive pieces of jewellery made out of the finest precious metals and stones. There are also more affordable pieces. Sterns creates and stocks a very wide range of jewellery. They also sell some beautiful accessories. Sterns have a wide range of rings. Including eternity, wedding and engagement rings. Also bracelets (including charm bracelets, chains, bands and chains with plaques). Necklaces (including chokers, long chains with pendants, statement pieces), earrings and more. Sterns makes use of a range of different precious and non-precious metals for their products. As well as a large range of precious stones. They also stock men’s jewellery and watches for both men and women, as well as children. Although many of the pieces in the Sterns jewellery range may be more affordable than at many other stores, they can still be quite expensive. If you are looking to buy something that will probably cost a little bit more. For example a wedding or engagement ring, you could open a Sterns account. And buy your chosen piece on credit. You will be able to pay it back over the period of a few months. If you already have a Foschini, Markhams, Exact! or other Foschini group card, you will not have to open a Sterns account. You can simply use whichever Foschini Group card you already have to make your purchase. Wherever you purchase your jewellery from you should make sure that no matter what quality the piece is, you look after it carefully. Precious metals must be kept clean with specialised cleaning solutions (ask at your jewellery store) and polished with a soft cloth. You should clean these pieces regularly to avoid damage. 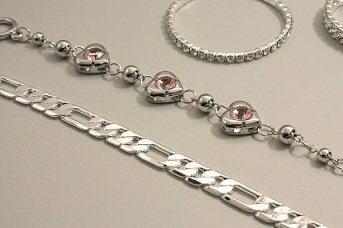 Necklaces and bangles, particularly chain pieces, will become entangled very easily if they are all stored in the same compartment. Untangling these delicate pieces usually means damage or breakages. It is advisable, therefore, to hang these pieces from a specialised jewellery hanger or simply from a hook near your dressing table. Rings and other items that are adorned with precious stones can easily lose their stones with a bit of banging around. Take care to remove your Sterns jewellery before swimming or playing sport. Costume jewellery will often rust or tarnish or become scratched and chipped. Paint any costume jewellery with a layer of good quality clear nail varnish to provide an extra layer of protection. Reapply every few month (or weeks, if you wear the pieces a lot). Try to swap your Sterns jewellery around to avoid wear and tear on your favourite pieces.